May be you come from a place where snacks and meals are cheaper. Or even you can prepare some from your home. In that case, you can stop at your local grocery shop and buy some. Carry a long a packed lunch or have a loaf and peanut butter. This will save you money that you would spend in luxurious motels on your road trip. In fact, this will make your picnic more enjoyable as you have your lunch while stretching for some minutes. Snacks from a hotel or popcorn and soup from a microwave can help you save a great deal. Many hotels and restaurants located along the road are very costly. Also carry along some water and drink it instead of a soda. If you are travelling with your family, you need to ensure that you have kids’ entertainment for kids. You can easily have this for free instead of having to buy it on the road. For instance, you can have printable travel games, plate games, aluminum art game, among others. You can also have a plan to engage kids in traditional games like counting cows along the way and other structures. You can also plan for media entertainment such as music. Look for free music available in your local library instead of purchasing them along the way. Driving properly on the road will help you avoid accidents. Habits such as accelerating and then braking up suddenly increases fuel consumption. Aggressive driving will always cause gas wastage. Therefore, observe constant speed while driving and avoid sudden braking. Also observe stipulated speed limits on various places on your trip. 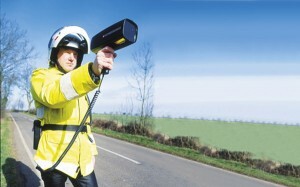 This will also help you avoid unplanned fines that may result from speeding at restricted places. Don’t give this guy any reason to take your money! If you stop at a place for a long time, make sure that the car engine is turned off. Many people go to a shopping mall or supermarkets and leave the engine running. This increases fuel consumption of their cars. Therefore, if you are sure that you will take more time at the place where you stop make sure that the engine is turned off. Having a printed map is very important especially if you are taking a road trip in a region you have not been to before. This will help you save gas that you could use by using a wrong route and turning back later. If you have neighbors who have used the route you intend to take, ask them for guidance before leaving. A true bargain hunter is aware of the importance of opportunity. Net voucher codes and coupons are in abundance today, make sure you keep your beady eyes open or you could well be spending more than you need to on your road trip. Travel coupons are a saving traveller’s best friend! Considering these tips on how to save money on a road trip will help you reduce the overall cost of the trip. Although they may appear minor, they all add up to help cut down the trip expenses a great deal. but much more time consuming compared to airline travel. At a time associated with higher gasoline costs, improved airport terminal protection and reduced plane ticket price this assumption has been tossed out of the window! Every approach to journey provides its benefits and drawbacks, as well as your greatest choice depends on which is actually most significant for you. To find out whether overland travel or airline travel is actually more affordable; think about the complete cost of every journey. For instance, a budget web site might promote plane tickets before tax or other surcharges which can dramatically increase the amount you will actually be charged. Overland prices are often complicated to estimate, due to varying fuel prices and the additional costs of providing your own food. Planes in economy classes are not generally regarded as very comfortable. Nevertheless, you are able snooze, and to stretch your legs every do often. Overland travel in a car does not allow you the same luxury, unless you alternate drivers and factor in time to stop for short strolls. In terms of actual travel time, air travel is significantly quicker than overland travel. However, when you take into account the amount of time involved in getting to the airport and clearing security, it may actually be quicker to complete shorter journeys by road. Bad weather can affect your travel arrangements whether you chose air travel or overland travel. The one bonus that air travel has here is that you will often be able to claim compensation if your flight is delayed for a significant period of time. If you chose overland travel, however you are generally expected to be responsible for your own time-keeping so this is not possible. The final decision between air and land travel can only be made by you as an individual. I only hope that this list was useful in helping you to remember which factors to take in to account. I wish you well on your travels, whichever mode of transport you decide on!